The deep south… where manicures are pointless, words don’t end in “ing”, and people spend more on their belt buckles than they do on any other accessory. Where you wear boots in the winter and flip flops in the summer. We literally have our own language, syntax and adverbs. When you come visit, you’re family! Take a look at the best embellishments of the deep southerner in your life on my Etsy Treasury and scroll through my own personal notes on these wonder designers and makers! Beginner level pattern for a Horse Earflap Hat from Family Tradition Crafts. Wonderful pattern writer. I LOVE the bridle on this one! So cute! It’s no secret that we love our crosses here in the south. I save all my horse shoes and have them displayed on the wall of my barn. My son has horseshoe nails bent around the bills of all his favorite camo caps. This takes it a step further. I would totally wear this Horseshoe Nail Cross Pendant from Silverdragon Crafts. In the south, we display our style freely. Everything we own; our houses, our fences, our trucks, and our blogs have to have our own unique style displayed all over it. Even our babies are stuck in cowboy hats within the first few months, crammed into cowboy boots, and made to sleep in hay just to show how serious we are. This Cowboy Hat from Two Brothers Blankets will help you do just that! I kind of wish I crocheted when my son was little so I could have done this for him! Had I known I could just buy the item, I probably would have! Thomasina Cummings Designs’ Crochet Guitar Blanket Pattern. Curl up under a musical delight while listening to your favorite songs picked on a cold night near a campfire. A perfect little Horse Lovey Pattern from Bowtykes! So sweet! Everyone knows a girl’s best friend is her pony! It’s not an obsession, it’s a lifestyle. Jazz up the apple of your eye with this cute little Horse Ribbon Sculpture Hair Clip from Ella Bella Bows. Whole Knit and Caboodle’s Charlie the Horse Amigurumi Pattern – because you can never have enough ponies! What a cute little Jersey Cow Hat by Crochet By Carla. Puts a new meaning to “little milk monster”! L’oiseau’s Jersey Cow knit fabric is the perfect addition to that quilt your mama’s been making. One and Two Company has the right idea with this cute little Cowboy Hat and Cactus Applique pattern! YEEEHAW!! My son would love this Hat and Vest Pattern Combo from 3 Boys and a Ball of Yarn. Let him be a KEEYOWBOI for Halloween! You makin’ fun-o-me, Baca Creations with this Detatchable Beard/Beanie pattern!? Here in the south, the greatest aspirations for our boys is to serve our country. Make this Unisex Freedom Fighter Newsboy Beanie Hat Pattern From Crochet by Jennifer and show us your American pride! Thank you, boys in green! KEEYOWBOIS AND INJUNS! The game of perpetual imaginary pursuit in the south lol Gramma Beans Pocahontas Hat Pattern. Can’t wait until MY cowboy gets home so he can give ME a ride on his Big Green Tractor! Big Green Tractor Basket from A Crocheted Simplicity has many uses! Easter, everyday egg collection… tv remotes… Must have for any deep south family! 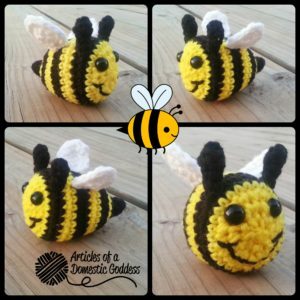 Don’t crochet? Auntie Jen’s Horse Lovey (finished item) – Pattern by Bowtykes. Crochet is NOT just for winter and don’t let the name fool you. This works well in the winter to keep ears warm, but is breezy enough for the summer. (And I live in Texas) Offered in sizes Newborn to Adult.